It was one year ago today that I was sideswiped by news that I was laid off my two year temp job. I was so confident that I would be hired full time that the news really took me off guard. 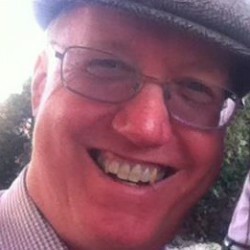 And unlike my layoff from my 20 year job in 2012 - at which time far worse things were happening to me that it was the least of my problems - this time I had to go through all the grieving processes one goes through when losing a job. So as a result, I was not even able to concentrate on a book for many months. And why I chose "Watergate" by Thomas Mallon to be my next read I'll never know, but boy am I glad I did. It's a historical fiction story of the Watergate mess told by the imagined point of view of all the people involved. And being I grew up in that era and remember what happened like yesterday, it wasn't difficult for me to figure out which was based on real life and what was entirely made up (I seriously don't think Pat Nixon ever had an affair). The book is, on the whole, a very darkly funny take on the whole scandal, with some poignancy thrown in for good measure - and it all works. Yes, it took me probably four months to actually finish it, but hey, I did it, and it was worth the, in this case, very trying effort to concentrate on it. And on a happy note, I'm currently working and getting a regular paycheck again and getting my footing back financially, so I get way fewer nasty calls from bill collectors. I'm pretty sure that is helping me with my concentration problems. hehe. 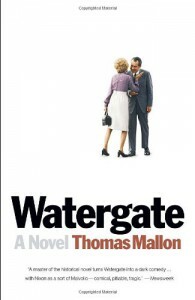 Anyways, if you choose to read "Watergate" by Thomas Mallon, you will enjoy it - ESPECIALLY if you lived in that period of time.